Every year, around “ IP Week” (April 26) Chinese officials and organizations of various kinds publish their “top 10” list, typically of best cases, most important developments, or leading officials. Since it’s near the end of summer in the northern hemisphere, with Europe and North America just returning from vacation – it seems like a perfect formula for another top 10 list of most significant, unusual or historical destinations related to China IP and its history . This is a personal list – I welcome hearing back from readers about what their top ten might be. Monument to China’s Future: If you want a glimpse of the future of China, a visit to a functioning high tech zone is key. My vote is for the Zhongguancun high tech area, which benefits from the rich talent pool of Chinese university graduates, robust government support, lots of foreign invested or contracts R&D as well as incredible soft infrastructure, including its own IP court. A good place to go might be the Microsoft Asian R&D Center, which has played a leading role in Microsoft’s R&D environment and contributes to Microsoft being the third largest Chinese-origin patent filer in the United States. National Treasures for IP: There are also several people who I would consider “living treasures” of IP protection in China. My top candidate is probably Prof. Guo Shoukang of Renmin University. 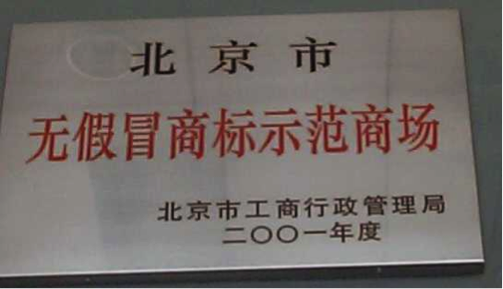 Prof. Guo holds the UNESCO chair for copyright protection at Renmin University. He has educated nearly all of China’s first generation of IP officials and scholars. Having a discussion with him is a living testament to the Chinese saying “to spend an evening with a scholar will save you three years of study”. 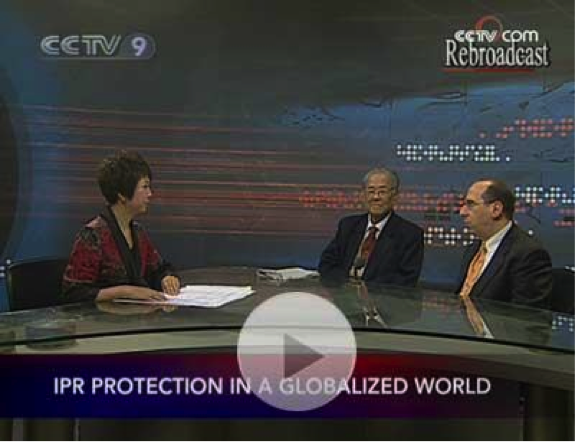 Here I am in a televised discussion with Prof. Guo on CCTV 9. National Heroes on IP: There are several other treasures to consider if Prof. Guo is not available, including retired Vice Premier Wu Yi, who tirelessly negotiated so many IP agreements with the Untied States and helped rally China behind the notion that IP is not merely an instrument of foreign oppression, SIPO Commissioner Tian Lipu, who was employed by the patent office before it was formally established, GAC Director Li Qunying, who has fought fearlessly for years to stop counterfeits, former SIPO Commissioner Gao Lulin, who helped establish SIPO’s leading role on IP in China, QBPC Chair and GE IP Counsel, Jack Chang, who has worked tirelessly to improve IP protection and understanding, amongst others. Sticky Problem that Won’t Go Away: At the end of a trip to Beijing, it is always important to buy some souvenirs for home. 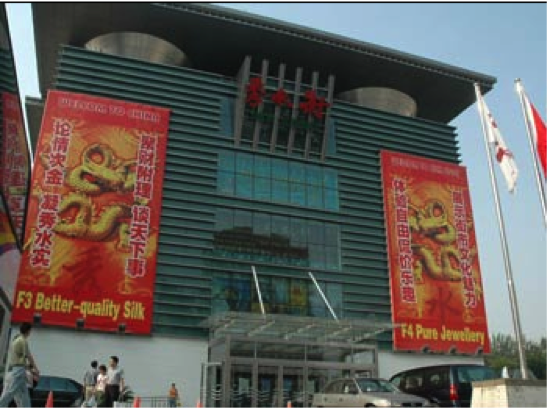 There are some things that must be seen even if they also need to be eliminated, and sales of counterfeit and pirated goods in large markets, such as Beijing’s infamous “Silk Market”, is one of them. It would be best to visit this place with someone who has been involved in all the legal and PR battles, so that the long and drawn out story can be fully explained, but you must visit looking like a foreigner so you can be approached by touts offering their goods at absurdly high prices and claiming they are not counterfeit. Joe Simone of Baker & McKenzie, and Paul Ranjard of Wanhuida would be among my two top candidates as a tour guide. And to be sure, it will not be hard to join the ranks of the thousands of foreign tourists who visit for a cheap “bargain”. A visit to one of these markets can give you a fair view of the reach of counterfeiting – to every brand and product imaginable. Buying counterfeit goods, especially luxury goods, also contributes to unsafe working conditions including illegal use of child labor. Don’t get me wrong however: there are also some legitimate goods to buy here and nearby, including traditional Chinese crafts. There are certainly other significant engineering accomplishments, from Shanghai’s skyline to the Three Gorges Dam, massive irrigation projects, and the whole city of Shenzhen, which evolved out of rice paddies on the border of Hong Kong. –from the bustling ports of Shanghai and Ningbo, which are responsible for a large share of China’s container traffic. 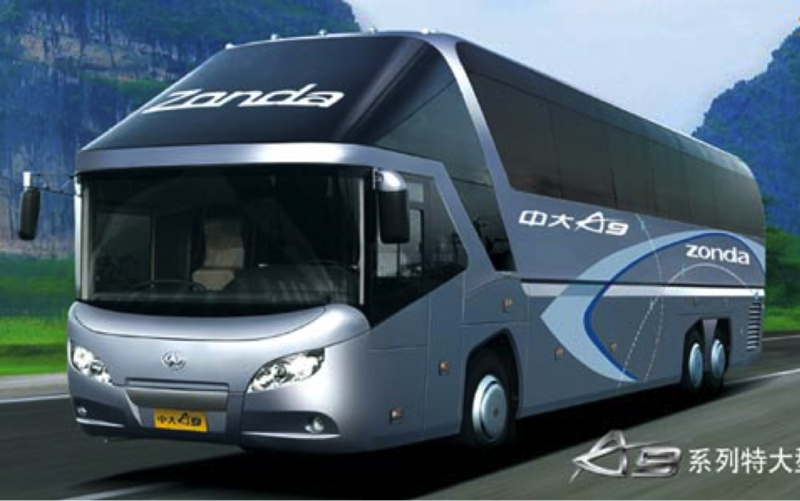 Above is a photo of the Zonda car that was accused of infringing design patents of German Neoplan. By the way, what dos a Z placed sideways look like and what does that spell? Or about that creative “r” in Chery, does it look like Chevy? There are any number of movable objects in China that closely resemble a foreign company’s leading products. This entry was posted in China IPR, IP Tourism and tagged Baker & McKenzie, Beijing, Boeing 707(Y-10), Counterfeit, Gao Lulin, GE, Guo Shoukang, high speed train, IP week, Jack Chang, Joe Simone, Li Qunying, maglev, McDonell Douglas, Microsoft Asian R&D Center, Neoplan, Paul Ranjard, QBPC, reinnovate, Renmin University, Shanghai, Shanghai Civil Aerospace Corporation, Shenzhen, Silk Market, Three Gorges Dam, Tian Lipu, UNESCO Chair, vacation, Wanhuida, Wu Yi, Zhongguancun High Tech Area, Zonda.